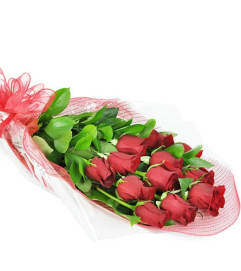 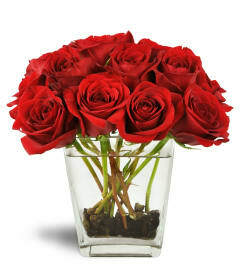 A single red rose: Passion, love, and new beginnings wrapped up in one immensely romantic and classic gesture. 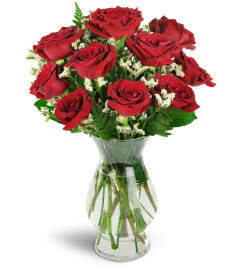 Understated and elegant, it's a perfect gift for your Valentine. 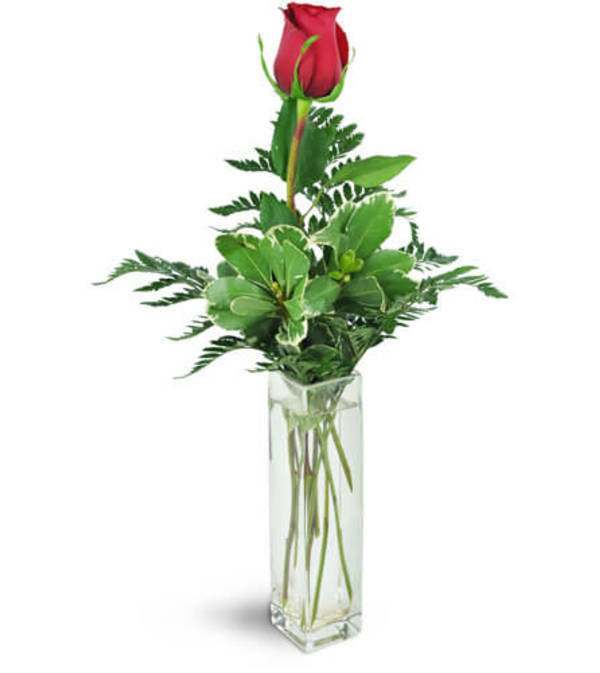 A single perfect red rose is complemented by lush greens and an elegant clear glass vase.